Luis De Armas, of Miami tees off on the Vail Golf Course as Charly Jacobs of Palm Beach waits his turn on Friday afternoon. Construction updates on the Vail Golf Club clubhouse will be provided every Wednesday at 1 p.m. in the conference room at the town’s public works building. A fact sheet about the project is available on the town’s website, as is the operations plan for the facility. VAIL — Construction will start in about six weeks on an extensive renovation of the aging clubhouse at the Vail Golf Club. But both the golf course and Vail Nordic Center will stay open during the roughly 12-month project. A recent meeting at the clubhouse laid out some of the details. Leonard Sandoval of the Vail Public Works Department said work on the $10 million project is set to begin Sept. 8. That’s when the clubhouse will close for the duration of the project. The golf course is expected to close for the season Oct. 25, weather permitting, but due to the space taken up by construction and shifting operations around, no electric carts will be available. Golfers can walk the course or use pedal-powered carts. Those who park their own carts at the course need to get them before Sept. 8. Carts will be available again around June 1, 2016. There will be some parking available, but it will be limited. 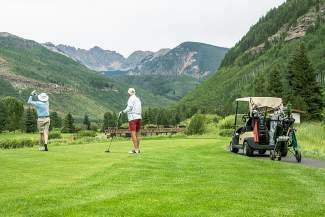 Scott O’Connell of the Vail Recreation District, which manages and operates the course, said that fewer golfers play in September and October, so he expects players to be able to park relatively easily. Golfer check-in will move to the starter shack during construction. And, of course, the grill will closed when construction starts, although O’Connell said snacks and soft drinks will be available. The Vail Nordic Center, which also usually operates out of the clubhouse, will move, too, of course. The center, which opens Nov. 1, will re-locate to the west side of the golf course driving range for the coming season. O’Connell said there will be no public parking for first part of the season, and parking will be limited throughout the winter. When the project is finished in 2016, the new facility will be modernized both outside and in, with the expectation of weddings and similar events being held there. The new facility will include both a catering kitchen and a kitchen for the grill, and the space will allow separating golf and events. While events are common at the golf course now, a group of golf course neighbors along Sunburst Drive sued the town to stop or change the project. 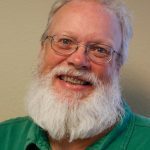 In fact, Christopher Toll, the Denver-based attorney for the neighbors, recently sent a letter to attorneys for the town and recreation district asking the town to reconsider starting work before a ruling from Colorado Court of Appeals. The neighbors lost their case in District Court in Eagle, and have appealed that ruling. Debby Webster, one of the neighbors involved in the suit, said the purpose of the letter is to “inform the community” about the neighbors’ intent. Vail Town Manager Stan Zemler said the town remains confident in its plans. Toll’s letter maintains that a reversal by the appeals court would allow plaintiffs to challenge both uses at the new facility and the plan itself. Town officials hold a different view. “It’s been narrowed down to a question of uses — we’d be restricted as to what we could use the building for,” Zemler said. That means work will start Sept. 8. Get ready.